The challenge at Less is More is entitled Down Under this week, as our sponsor this month is Kylie, from Happy Little Stampers who is also the Guest Designer this week. I'm just back from a couple of weeks in Florida and a cruise around the Caribbean and the Bahamas, so it's down to earth again! I do apologise if I didn't get around to commenting whilst on my vacation, but I'm sure you'll understand! Fabulous! Love the image. Hope you had a great holiday lots of blue skies and sunshine! Hello Chrissie: This was a wonderful theme, I got a bit puzzled about how I was going to participate but I'm glad I did. 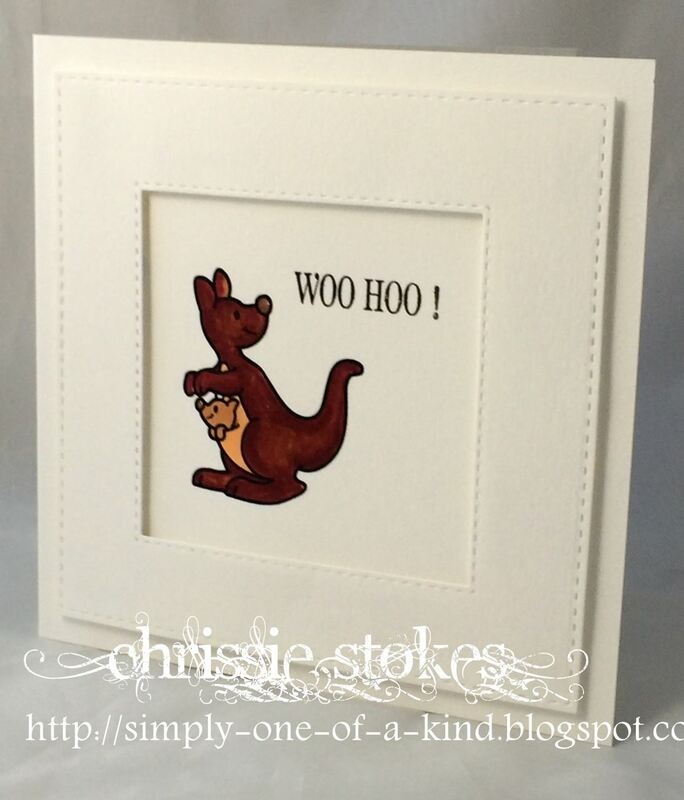 Love, love this little Kangaroo and your design for your card. And, when you are on vacation, specially to the Caribbean, you suppose to relax and recharge, so happy you had a great time. I like the sound of your trip. Lovely CAS card.